Point Culture invites CIFAS to present its maps of several Brussels districts in the frame of a summer exhibition which will be accessible from 28 June to 22 September 2018. A subjective map is a map created by a group of inhabitants, through workshops led by Catherine Jourdan, psychologist and documentary artist, and her team. This map represents a group's vision of its own territory, of the city at a given time. It is not based on actual data but rather on the impressions of inhabitants: personal memories, intimate stories about places, shared impressions and other beliefs can be found and read on these maps. After a time for exchanging and thinking, the map is then printed, sold in local shops and made public in the city communication spaces. Since 2014, inhabitants of seven different Brussels districts have created maps of their own territories. Unfold them and discover their stories! 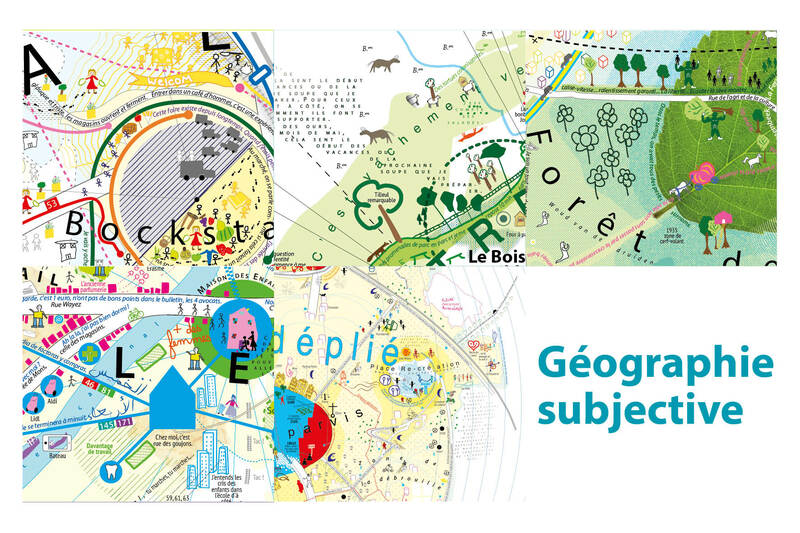 Géographie subjective is a project by CIFAS made with the support of Service public francophone bruxellois.